Copyright infringement is a word that we hear a lot in Star Wars collecting. After all it famously gave us Uzay action figures and more recently Galaxy Cops, plus a slew of other examples of awful material selection, complete lack of safety awareness and attrocious product and graphic design. And Star Wars isn't the only victim - Transformers, Teenage Mutant Ninja Turtles, Jurassic Park - and most worryingly Peppa Pig - have also been targets. But perhaps one of the most well known cases in the toy industry isn't against a particular license but an entire company's brand. Let's be clear this isn't an argument against clone brands like Mega Bloks or Best-Lock, who are able to manufacture LEGO-compatible bricks on the basis of a lot of technical patent law mumbo-jumbo. Regardless of what your opinion is, both companies produce their own product lines and don't have any copy-cat sets. Lepin, on the otherhand, directly copies LEGO sets - both licensed and unlicensed - and does so blatantly. It was only last week that LEGO announced their new 75222 Betrayal At Bespin set and it was less than seven days later that Lepin had their own knock-off on the market. 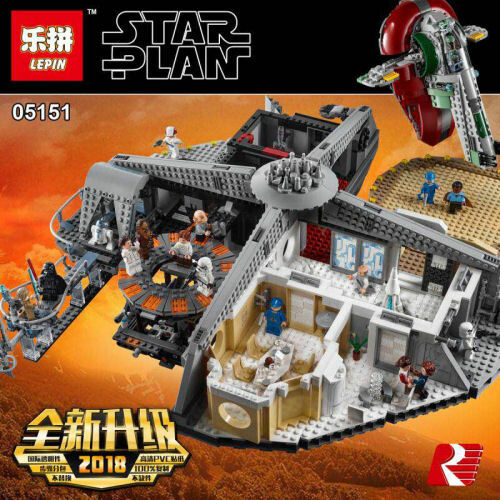 And if that's not impressive enough LEPIN also had their counterfeit version of sets based on The Last Jedi for sale nearly seven months before the release of the movie. The official LEGO sets were only available three months beforehand. LEGO hasn't taken this sitting down and has actively sought redress, with numerous law suits filed against the bootleggers in Chinese courts over the years. Recent success has included having its name and logo declared a well-known trademark in the country and a ruling that LEPIN and BELA, another cloner, had to immediately stop producing products that imitate authentic LEGO sets, both in terms of content and packaging design. At the time this was hailed as a victory and Peter Thorslund Kjær, Vice President of Legal Affairs at LEGO, declared that "We will continue our efforts to ensure that parents and children are able to make informed choices when they are buying toy products, and that they are not misled by attempts by irresponsible companies to make toy products appear as something that they are not." While this seemed to a breakthrough it didn't have a fine attached to it and there didn't appear to be any decrease in the flow of bogus toys - under the guise of Space Wars, Star Wnars, Star Plan, Star Union and Star Wart - reaching retailers. And we aren't necessarily talking the latest sets either because there's an impressive back-catalogue available that stretches back nearly 20 years. The latest result in the battle between LEGO and its faux competition has just reached the English-speaking world. As reported by Brick Fanatics the High People’s Court in Guangdong (China) has ruled that LEPIN has been ordered to pay LEGO a fine of 15,000,000 Chinese yuan (US$2,200,000), post a notice of copyright infringement on the China Toy & Juvenile Products Association website, plus comply with a shopping list of other no-nos. Interestingly the case against LEPIN targetted the infringement of trademark of NEXO Knight, Ninjago and Chima - all original intellectual properties of LEGO - and made no mention of Star Wars. A key element to the progress of this case is that LEGO took their claim to the High People’s Court, a provincial court, rather than the Supreme People's court, a tactic that Bandai successfully used against Dragon Momoko, a knock-off manufacturer of their Gundam models. There is still no word whether the fine has been paid and there is no obvious notice of guilt on wjyt-china.org. Remarkably the official LEPIN webstore is still running and the "Amazon of China" is still selling LEPIN's products. LEGO has not publically acknowledged the outcome of this case leaving us wondering if there is still more to come. Rebelscum doesn't condone the illegal production of licensed Star Wars merchandise but you are welcome to discuss it in our LEPIN thread, but links to retail sites aren't permitted though. 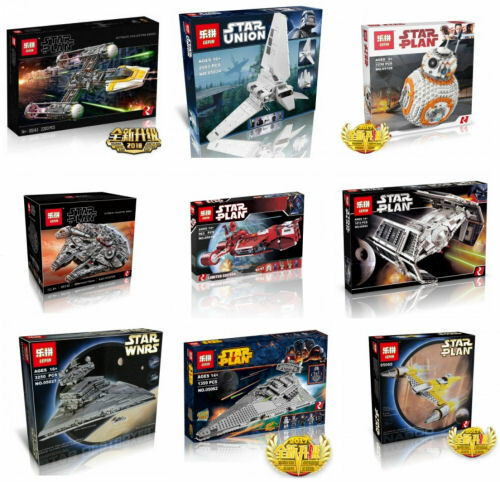 Instead we encourage the sale of genuine LEGO through our affiliate link, which helps to support our efforts to report on Star Wars collectibles.